It’s almost the 5th of May, and you know what that means: time for a music therapy FIESTA! Check out some of my favorite Cinco de Mayo-inspired ideas to try with your clients or students next week. I also like to use this opportunity to discuss Mexican culture with my clients. Try showing a video of a mariachi band, coloring a picture of the flag or talking about your favorite foods. Olé! Instrument Jam Session to “Oye como va” (Santana). Nothing says cool like Santana! Jam along with the recording or play it live with instruments like maracas, guiros, shakers, rhythm sticks, cabasas and castanets. 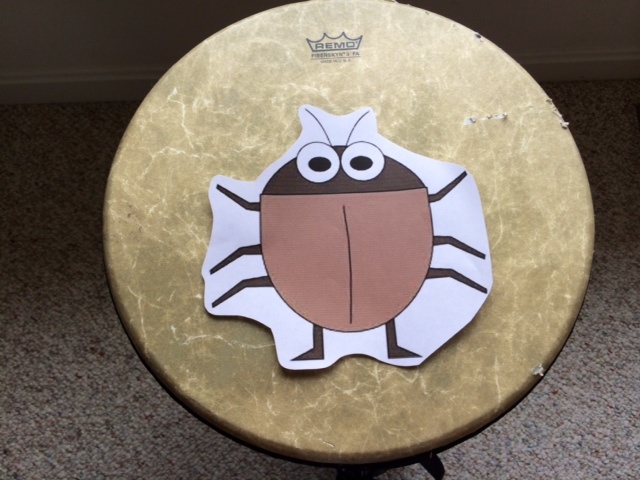 “La Cucaracha” Drumming: Print out a cute little cockroach cartoon (because let’s face it—a real picture of this particular creepy crawly friend is just TOO yucky) and tape it on a drum. Tell your clients that there is a bug on the loose and it’s their job to squash it! Sing or hum “La cucaracha” and have clients wait to “squash” the bug by hitting the drum after each line. This is a great way to work on impulse control, following directions and attention. Do the limbo. For your teens and cool kids, check out this pop-tastic Limbo song, courtesy of Daddy Yankee. “Limbo Rock” (Chubby Checker) and “The Limbo Song” (Frankie Anderson) are my go-to limbo classics. Cinco de Mayo-themed dance party! Fun ideas! Thanks for sharing! When I use pictures on an instrument (like you did in La Cucaracha), I usually use the tambourine. When I try to use the drum it seems to deaden the sound. Maybe I am attaching it wrong? It would be fun to do La cucaracha as you suggested, but have the therapist holding the instrument and have a different student squash the bug after each line….